Over in China, at the Guahnzhou Auto Show, Buick rolled out its Velite plug-in hybrid concept. Buick says this is strictly a concept with no concrete plans for production, but we believe otherwise. serves as a template for future new energy vehicles under the brand’s Buick Blue strategy. 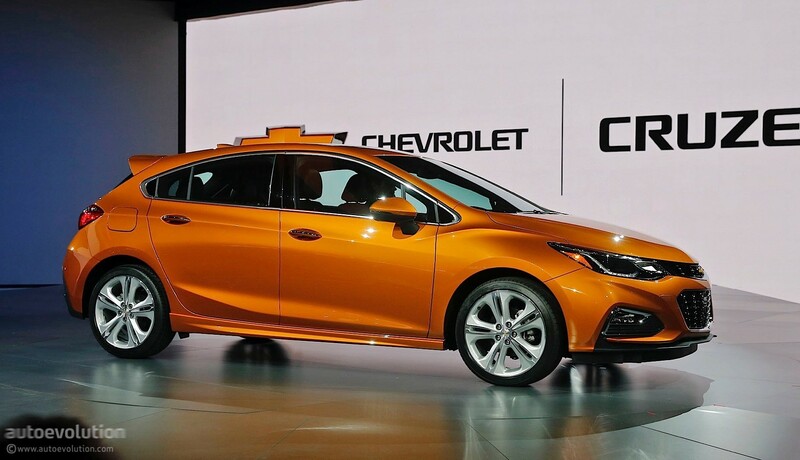 is characterized by its high-performance plug-in hybrid electric vehicle (PHEV) powertrain with GM’s new-generation modular intelligent electric drive system at its core. incorporates a high-performance modular lithium-ion battery pack. sophisticated technology will be applied in Buick’s upcoming PHEV model. There are no specific figures to be found anywhere in the press release, so we have no info on battery capacity, electric range, etc. 20 Comments on "Buick Velite Plug-In Hybrid Concept Revealed"
Looks like the IDS concept in many ways. Meh. It looks like the Chevy Cruise hatchback. I’ll bet it is based off the same chassis, bringing the possibility of this car being real that much closer. Hatchback aside the Cruise is a smaller car and looks nothing like it. Pretty nice body design. Is blue glass standard? I like it. I think GM will make it too. They want to get more into Jhina, and this is about only way to do it. Joint ventures. Does this fix the rear seat headroom problem of the Volt? There is more headroom in the Volt than the Model S, even after the headroom in the latter was “fixed”. There is, however, very little legroom. The Cadillac ELR took this a step further, fixing the headroom issue by eliminating all legroom in the back. So no problem with the headroom since no one will be sitting back there. Fact checked: Correct. The 2017 Volt has 1/2″ more rear headroom than a Tesla Model S.
The big deal is the statement that Buick will be turning out many different types of electrics. That’s possible because GM can turn out HEVs, PHEVs, EREVs, and BEVs with the same Voltec system. AFAIK it’s the only major manufacturer which can do this. You’d expect it to jump on this advantage and drive for more market share. So far it hasn’t done this, but perhaps this is changing. Likely only in China, ’cause their government is more pro-environment than Trump’s Administration. You are wrong. Trump will be just fine for EVs. Just sit and watch. My God, you actually voted, too. Sad. Lior, I hope you’re right. His rhetoric on the environment (over 50 tweets saying it’s a Chinese-made hoax) and his appointment of climate change deniers makes your statement unlikely to be true. Is this different than Buick’s rebadged Volt? I thought that was going to be called the Buick Velite? It’s the same car I believe. To me, the styling looks a mix between a Gen2 Volt and the Buick Riviera concept. Its not clear. The vague amount of information doesn’t rule out the possibility of a Volt clone, but it also doesn’t rule out an entirely new EV. I wonder if this reveal has anything to do with the strange press releases awhile back where GM says the Bolt is on an entirely new, and as yet unnamed platform. Couple this with the 400k reservations for the Model 3 with similar performance but better looks, and I’m wondering if the Velite might be a battery EV designed to attract some of the people interested in the Model 3.